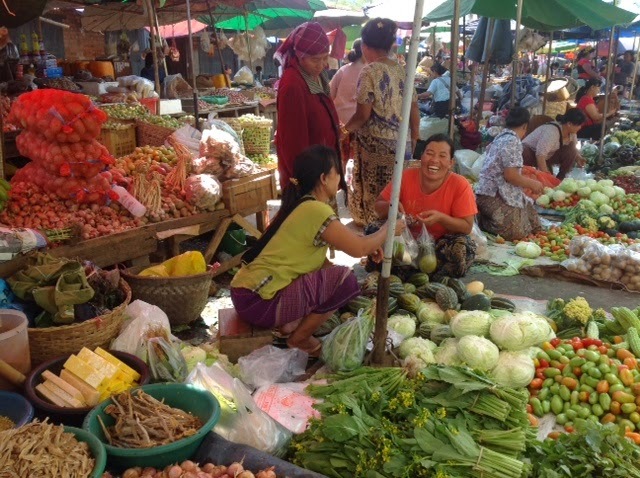 Lovely fresh veges in the market. 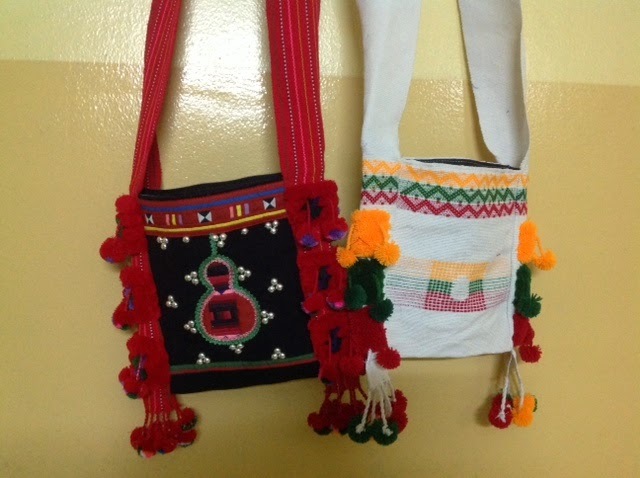 A couple of traditional bags with pom poms. The flying elephant from Yangon airlines. 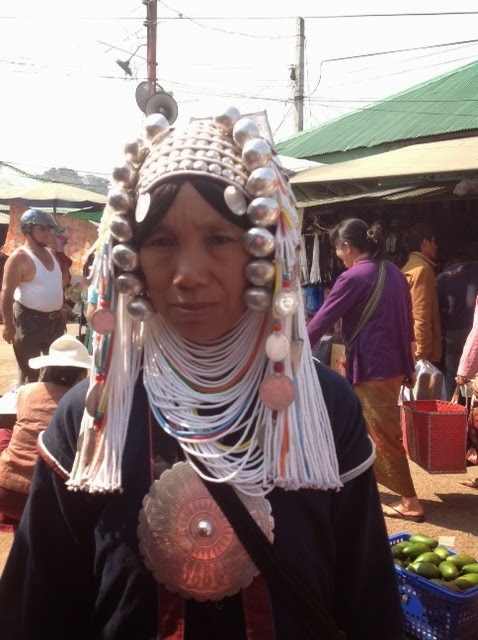 A tribal lady in the market. I just love the outfit. 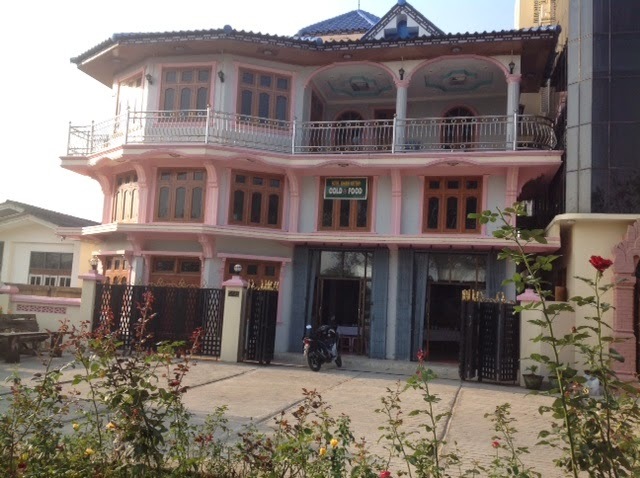 This is a beautiful old hotel we stayed in at Kyaineton. I am well known for my love of tea. So this is my kind of market. Those bags are full of all sorts of tea. One night, there was a mixup with our hotel accommodation. 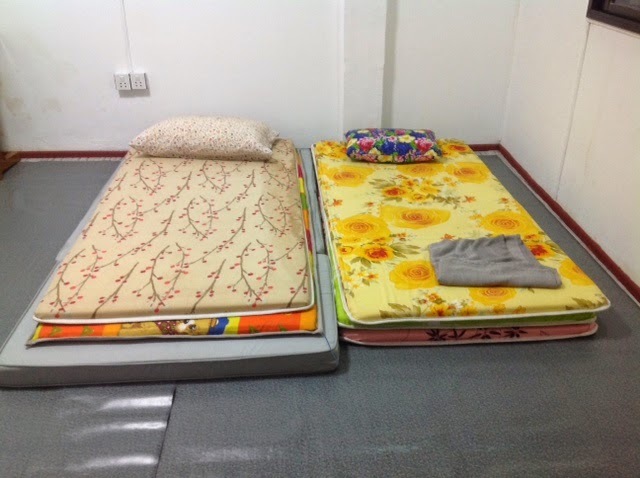 We were offered a vacant apartment for the night, so we slept on the floor, and were grateful for somewhere at short notice. The teacher training begins tomorrow with six Aussies, Harold and Grace Patsy, Beth, Lynette and Peter, and about 60 trainees. 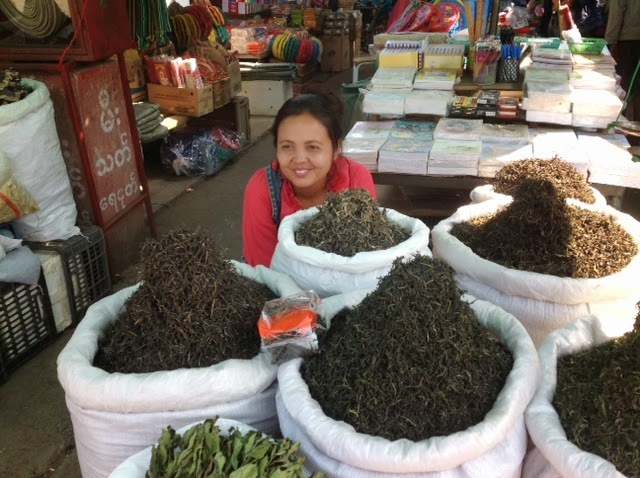 We also have Lyn and Tanneal doing follow up training in Lashio. They arrived this morning at 9.30a.m. and left on the bus at 5 p.m. for an overnight journey. They will be doing the second round of training with about 11. David and Stacey Coates are also here assisting us, and we will spend the next few days looking at land, existing international schools, and investigating various approaches.